Here are a posts which compare the shadow and the true, and use the shadow to show characteristics of the true, including New Jerusalem as the eternal holy of holies. Each summary begins with a link to that post and ends with one key verse reference. 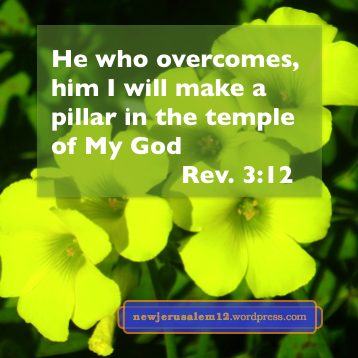 The overcomers, who hold fast to the Lord’s word, will be pillars in the living temple. (Rev. 3:11-12). Jesus Christ “made us a kingdom, priests to His God and Father.” As priests, we are qualified to serve in the temple and will serve eternally in New Jerusalem. (Rev. 1:5-6). We have been cleansed in the blood of the Lamb. We serve God day and night in His temple, which is God Himself. (Rev. 7:14-15). The ark contains manna in a golden pot, the budding rod, and the tablets of the covenant. All portray something about New Jerusalem. (Hebrews 9:4). 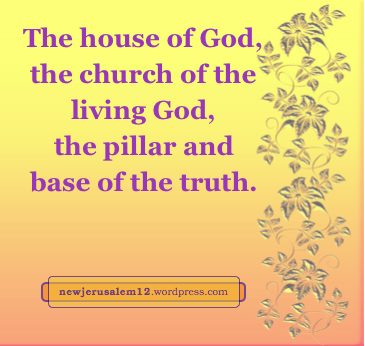 The pillars in God’s temple are living persons, people closely identified with God, New Jerusalem, and the Lord Jesus. This, like many other verses (e.g. 1 Cor. 3:9, Eph. 2:21-22, 4:15-16, 1 Peter 2:5) show that God’s New Testament building is spiritual. God’s building of Himself into His people and His building His people together has replaced the physical buildings of the Old Testament. We will not merely be in New Jerusalem (with the possibility of going out) but built into it so that we “shall by no means go out anymore.” This city is a living building joined/fitted/knit together in life, as are the members of our physical body. Revelation 21:22 tells us that the Triune God is the temple of New Jerusalem—“the Lord God the Almighty and the Lamb are its temple.” And the overcomers are being built into this living building as pillars during this age and fully in the coming kingdom age. Nothing physical about this. In eternity all God’s people will be built into New Jerusalem and into the temple. Lord Jesus, grant us grace every day that we may cooperate with You to overcome. Build us into Your building and write Yourself and New Jerusalem on us. Many verses show that God’s New Testament building is spiritual and not physical. New Jerusalem, as the consummation of this building, is also spiritual. First Kings 7:15-22 describes the two physical pillars of the temple. 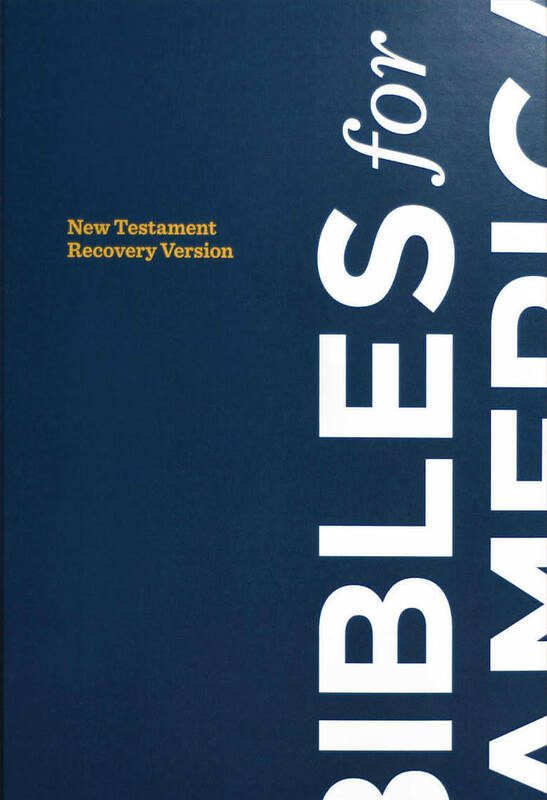 In the New Testament there is a turn from physical to spiritual. Galatians 2:9 tells us that James and Cephas and John “were reputed to be pillars.” The church, the house of the living God, requires living persons to be its pillars. In 1 Timothy 3:15 the church of the living God is “the pillar and base of the truth.” This truth is God, Christ, all that Christ has accomplished through incarnation, human living, death, and resurrection, all that Christ is for us, and all that He will do in us. The church uploads this truth now (and New Jerusalem will do so in the future) by the living God living in all the members so that God may be manifested in the flesh (1 Tim. 3:15-16). In Philippians 1:20-21 Paul says, “with all boldness, as always, even now Christ will be magnified in my body, whether through life or through death. For to me to live is Christ.” Paul’s magnifying is part of the church’s upholding, and takes place by Christ being his life. 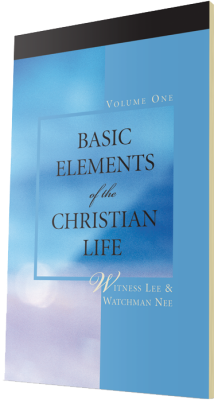 Our need is for Christ, who is in us as life, to become our living – Christ in our driving, shopping, working, speaking, reading, sports, using the internet, and in everything else. Such a living of Christ in us is a foretaste of New Jerusalem.